Contains details of David's recent CD and DVD releases. Includes MP3 sound clips of most tracks. David Friesen has made over 65 recordings as a leader or a co-leader. These recordings have included some of the most innovative musicians in Jazz- Joe Henderson, Paul Motion, Chick Corea and Airto Moreira among others. David has played bass on countless recordings. David Friesen's gifts are multiple. At first, he impresses with his awesome technique. Then comes the realization of the richness of his ideas. Friesen's Strengths - Awesome technique, power, singing tone, and almost metaphysical dedication - have been chronicled often. But there is also an innate nobility, immediately recalling a statement by Vladimir Nabokov; 'Beauty plus pity - that is the closest we can get to a definition of art'. Friesen achieves that beauty: enfolded within it, just beyond the grasp of speech is a compassion closer to the German word for pity, Mitleid, the act of suffering with. Double-bass player David Friesen is a miracle: a rounded, powerful tone, a splendid sense of time, which contributes hugely to the rollicking, powerful swing which he generates throughout every measure. 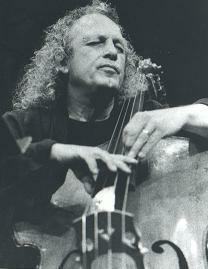 His pizzicato technique has, literally, to be heard to be believed; his solo creations are unbelievable in their logic and completeness; his support for the blowers is tremendous; double and triple stopping decorate his improvisations, demonstrating a complete mastery of the art of playing in tune.